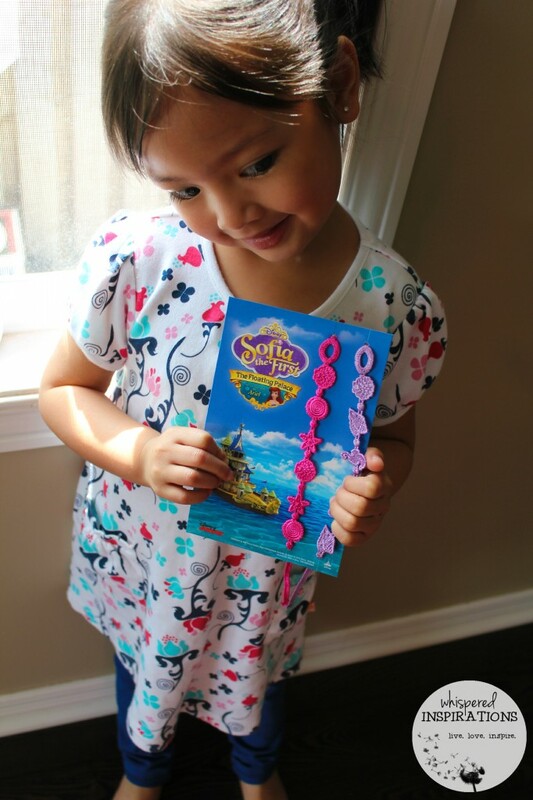 Sofia the First: The Floating Palace! Sofia is Making a Splash. 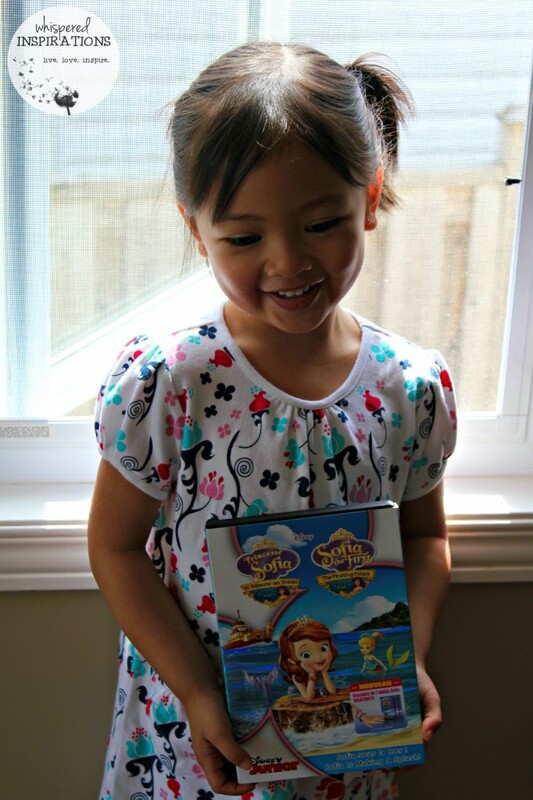 Disney Junior is HUGE in our house and Sofia the First is one of Mimi’s favorite shows. We watch it, well, countless times a day and I’m actually okay with it. Sofia is sweet, caring, helpful and a great friend. This tale is no different and Sofia sets off on an underwater adventure. Mimi was super excited to sit down and watch this movie because who doesn’t love mermaids? She was thrilled that Ariel makes an appearance and that Sofia turns into a mermaid too. Not to mention, Mimi loves the fact that the she and Sofia share the same name! She also enjoyed meeting Oona and her underwater friends, she also loved how Sofia helps save the day! I love how it was a story about trust, friendship and so much more! If this movie wasn’t awesome enough, it came with TWO friendship bracelets. Mimi was over the moon and wanted to give one to her sister of course. They are really cute, vibrant and well-made. Not to mention, soft. Mimi picked the pink and Gabby the purple. The girls said they were like Sofia and Oona and they ate popcorn and watched the movie together. They loved seeing Ariel and how she helped Sofia when her amulet summoned her. This DVD was an awesome one, we laughed and we rooted for Sofia of course! Make sure to get your copy and get your hands on the BONUS bracelets that come with it too! Have you watched this movie yet? My preschooler will love to see this. It looks really cute. Love the bonus friendship bracelets too. Nice touch! Aw, I love the cute bracelets! My daughter's not quite old enough for this movie yet, but I'm pretty sure in another few years, I'll be up to my eyeballs in this type of stuff! My recent post Little Thinker Box Review by Charm City Mama! We have boys and Sophia is a favorite! They love this spunky little princess. Those bracelets are adorable, my niece would love this movie I just know it!!! Sounds really cute! My recent post Easy Cheesecake Stuffed Strawberries – Prepare to Be Addicted! Oh geese! My daughter is going to LOVE this!! Your daughters are so photogenic! Thanks for the review! My 2 year old loves watching Sofia the First! Nope haven't seen it yet. I'm a boy Mom but they both enjoy Sofia! That looks adorable. I love the bracelets too. I haven't watched this yet, but I'd love to watch it with my niece – she loves Sophia the First! This looks so sweet, and is something my younger niece and nephew would enjoy. My daughter LOVES Sofia, it's one of her favorites. I will have to check this out for her. How cute! I'll have to pick up a copy of this for my grand daughter. 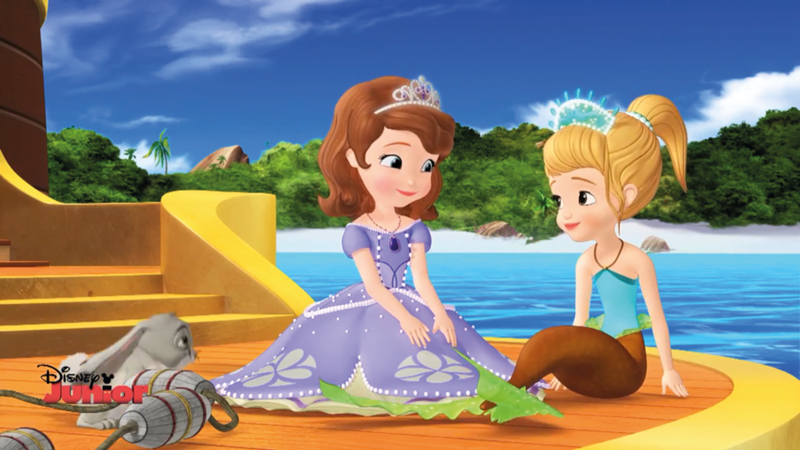 Sofia the First looks like such a cute show! I love that it features Ariel too. My daughter was crazy about this movie and those bracelets put it over the top! Far too cute!!! My kids also received this title and were happy to watch it! We loved the bracelets! My girls love Sophia the first, thanks for sharing. They will love this. That little girl is absolutely adorable! We are huge Sofia fans at my house! How cute! My niece is a big Sophia the First fan! She would love the movie and the bracelets! My daughter absolutely loves Princess Sophia! And she hasn't even seen the cartoons yet! lol. I have to get this for her. We adore Sofia the First in our house. All 3 of my kids will watch. I'ts a fun show, sweet characters and not too preachy so the kids still like it . Great songs too! Aww! This looks like such a cute video! Will have to pick one up for my nieces! We watch Sofia the First sometimes around here, it's really cute. I like the girl with the pet dragon. 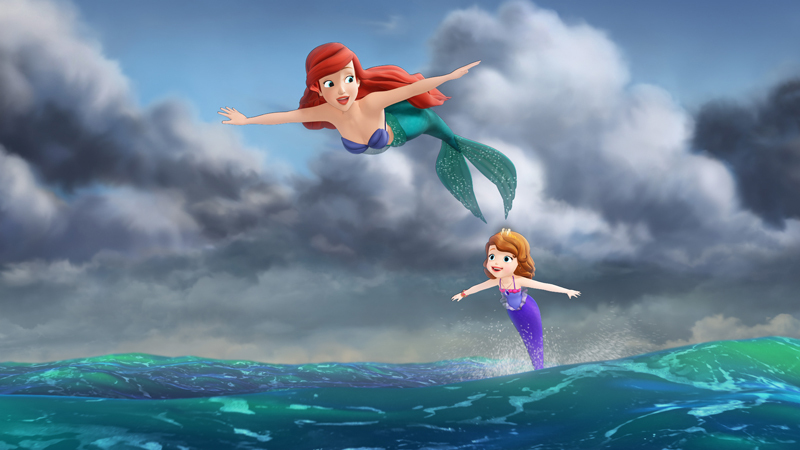 That's awesome that Ariel is in the movie! I haven't seen Sofia the First, but I hear that it's a good one. Looks like she got something she really enjoys! 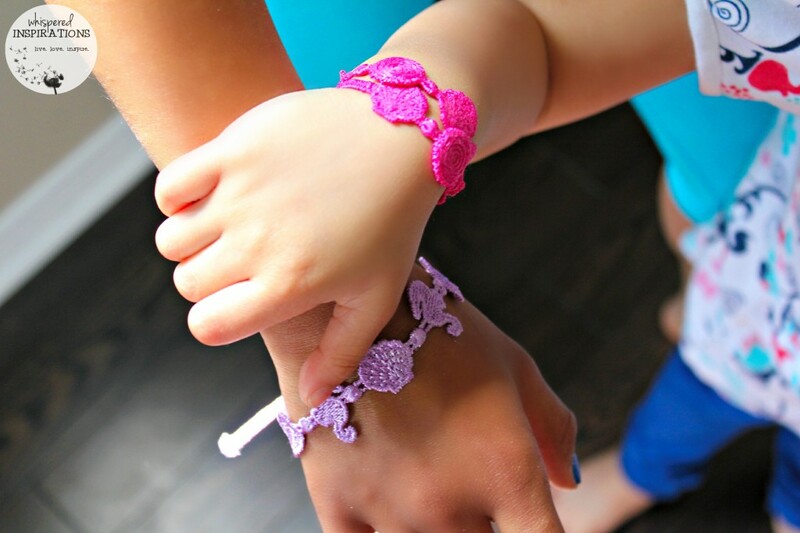 And those friendship bracelets are awesome! Those little friendship bracelet bonuses are cute, too. This was such a really cute movie! I got it to review for my niece and now she thinks I am the coolest aunt ever LOL!! I haven't seen it yet, but it's the perfect little girl's flick. Darling! My girls love this DVD and the bracelets were such a great touch. They went over very well in this house!! Your daughters are just precious! I love the bracelets. We're yet to watch this one. It is CUTE. If your kiddos love mermaids, they will love this!